Dawne Y. Curry,, Eric D. Duke, and Marshanda A. Smith, eds. 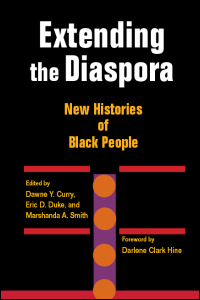 Extending the Diaspora: New Histories of Black People. 1st ed. Urbana: University of Illinois Press, 2009.